Written by Christa Hackenberg and Lem Springsteen. Published by One Boy Music (ASCAP) / Christa H (BMI). Produced by Lem Springsteen. All guitars by Wyatt Tee Walker Jr. All keys by Lem. P) 2013 Urbanloungemusic, LLC. Courtesy of Urbanloungemusic, LLC. Written by Komplexity and Akhona. Published by DeepforestSA Entertainment (Pty) Ltd. P) 2012 DeepforestSA Entertainment (Pty) Ltd. Courtesy of DeepforestSA Entertainment (Pty) Ltd. Written by Shea Bryce and Drew Horley. Published by:TwoPointNine Publishing Ltd. / Westbury Music. Remix and additional production by Atjazz. P) 2012 TwoPointNine Ltd. Courtesy of 2Point9 Records (UK). Written by Nathan Adams. Published by Tribe Records. Music produced by Louie Vega. Remixed by Louie Vega. P) 2013 Tribe Records. Courtesy of Tribe Records. Written by Alton Miller. Published by Atal Music Ltd. Produced by Alton Miller. Vocals by Thato. P) 2013 Beats & Groove, S.L. Courtesy of Kings of Groove Records, a trademark of Beats & Groove SL. Writen by Joseph “Punk” Mbedzi. Published by Offering Recordings c/o Atal Music. P) Offering Recordings. Courtesy of Offering Recordings. Written by Johan Cederberg. Published by Hybris Publishing. P) 2012 Local Talk Records. Courtesy of Local Talk Records. Composed & arranged by Steve Franceschi. Vocals performed by Soul Sista Shakti. 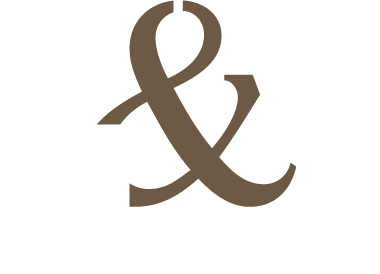 Produced by Flavio “Harley&Muscle” Romaniello for H&M© Productions (www.hmproductions.it). Written by Veli Mthimkulu AKA Soulstar. Published by Vuya Productions CC / Soulistic Music. P) 2013 Foliage Records. Courtesy of Foliage Records. Written by Janice A Buerkli and N’Dinga Gaba. Published by Quantize Music Publishing. Produced, mixed & arranged by N’Dinga Gaba. Additional production by DJ Spen. Lyrics & vocals by Janice B. P) 2013 Quantize Recordings. Courtesy of Quantize Recordings. Written by Marc Evans. Published by Quantize Music Publishing. Produced by Arthur Malanda (DJ Chocolate Brown) of RiskSoundSystem & Randy Tjon-A-Fon (Rancido) of Deep Journey Recordings for RiskSoundSystem. P) 2013 Quantize Recordings. Courtesy of Quantize Recordings. Written by Artful, Terri Walker and Donae’o. Published by Warner Chappell / Minds on Fire / Copyright Control. Vocals Performed by Terri Walker. Produced by Artful, Terri Walker & Donae’o. Additional production, keys & drum programming by Ridney. P) 2013 Extra Dry. Courtesy of Extra Dry.